Read Cathy’s full review here!!! 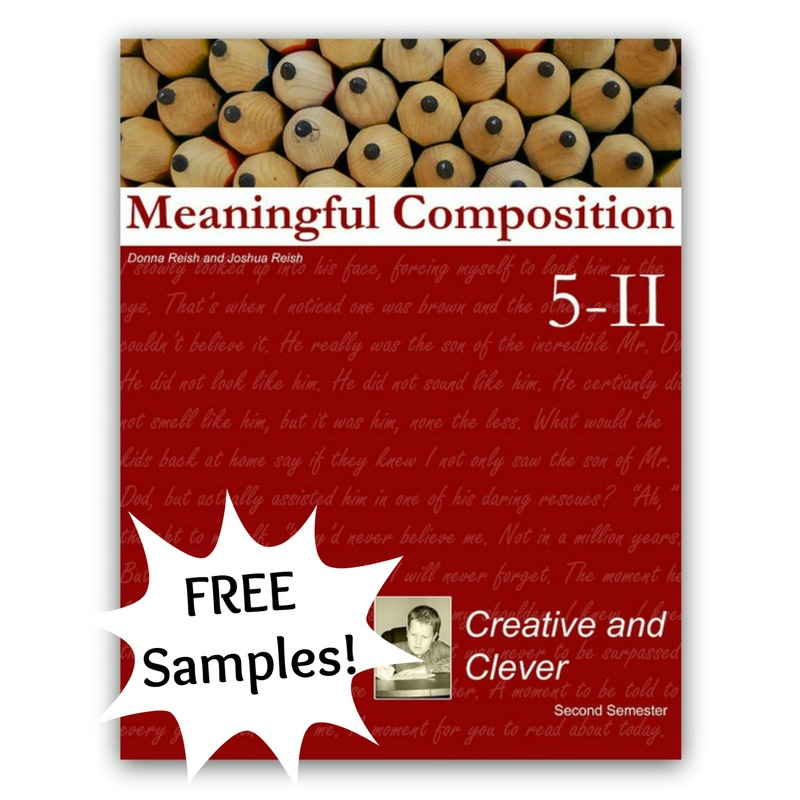 This beginning creative writing book is jam-packed with creative projects while using many of the techniques from our earlier books. Just because it is a creative writing book does not mean that we leave students floundering! 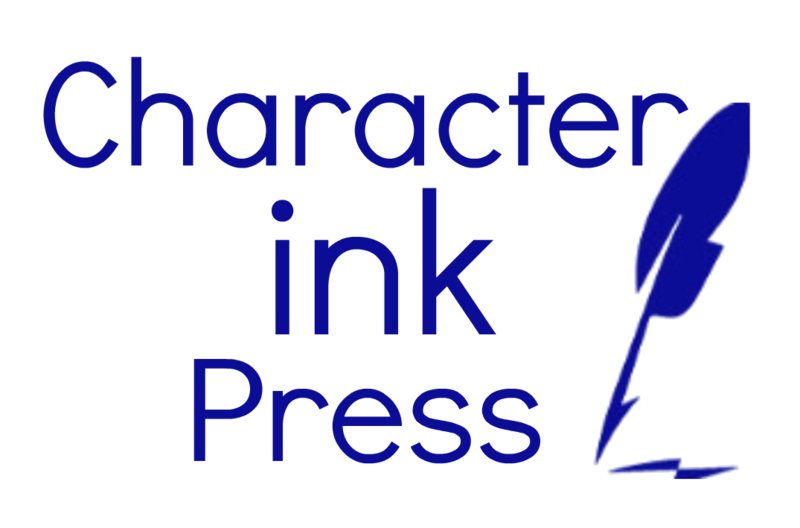 All of our books (including our creative writing books) use Character Ink’s Directed Writing Approach, taking students by the hand and teaching them step-by-step HOW to write each type of writing contained in that book. 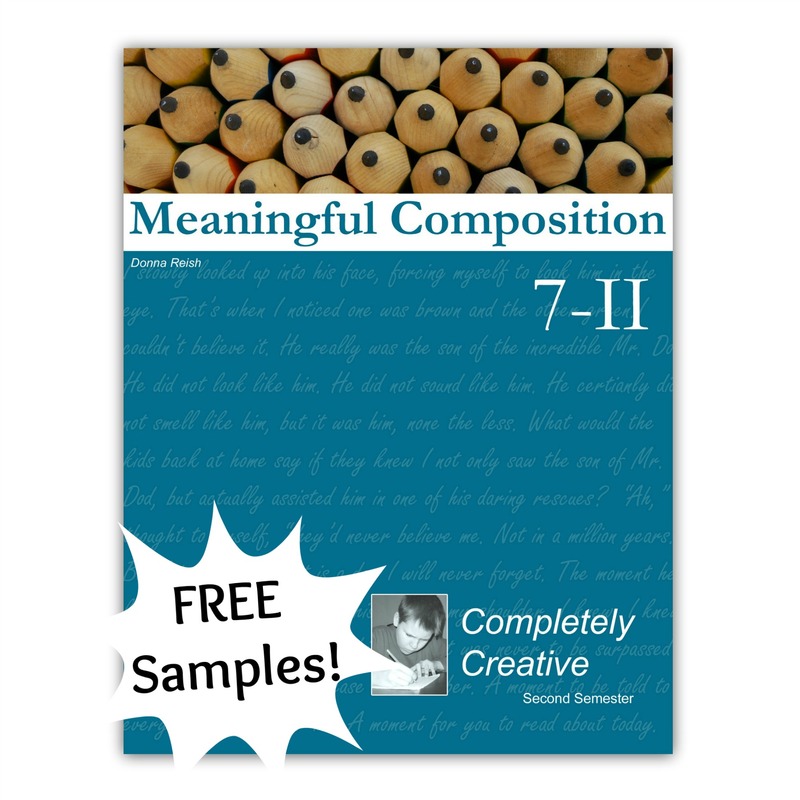 Read ‘About Meaningful Composition’ in the thumbnail picture above! This second semester book written for approximately fifth grade writers (though any student who has completed any first semester book and who wants to learn to write creatively may use this exciting book) teaches students the skills needed to write creatively, including varied synonym use, strong verb use, writing details in a setting, personification, onomatopoeia, avoiding redundancy, imagery, our Checklist Challenge editing task list, and other pre-writing techniques for story writing. Projects in this book include Sentence-by-Sentence (S-by-S) Outline and essay over earthquakes/description of the land, ethical dilemma story, and doves. 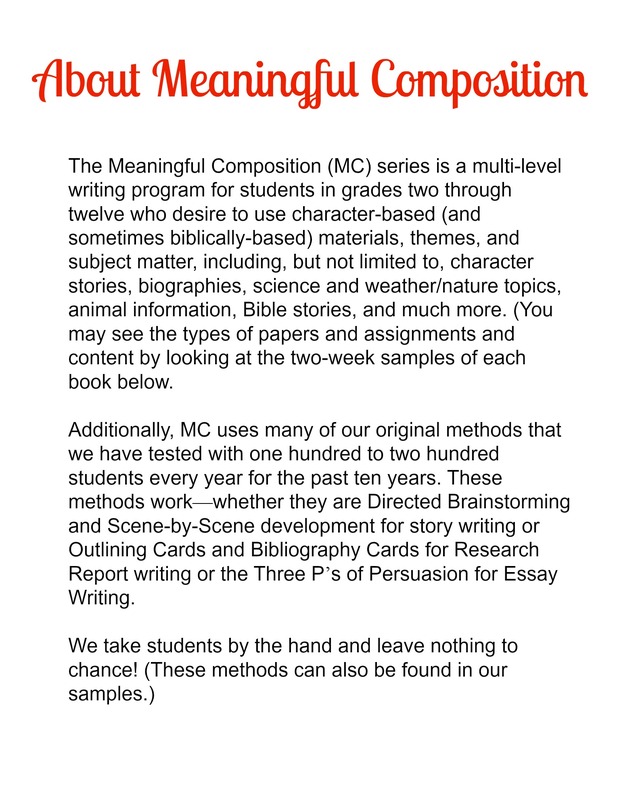 Original projects include story completion, poetry completion, animals speak essay, Country Mouse/City Mouse Piggyback Story, greeting card writing, Personal Timeline, Personal Time Capsule, Possessions Revolt, Personal Essay About Self, Do Good Unto Others Day Essay, and Historical Timeline Essay. 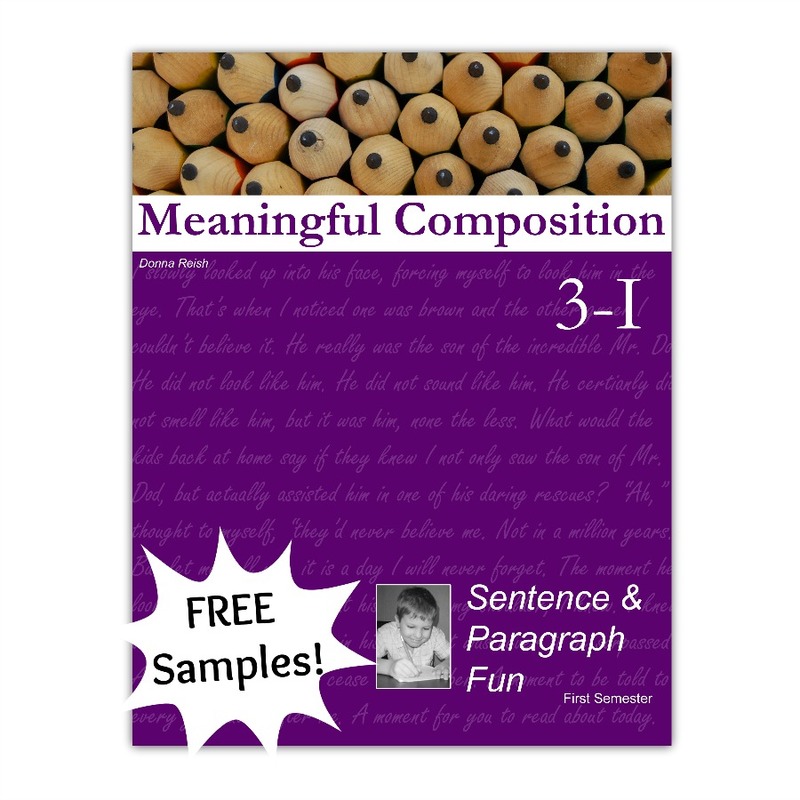 Fun stuff all in our Directed Writing Approach—step-by-step with no guesswork! 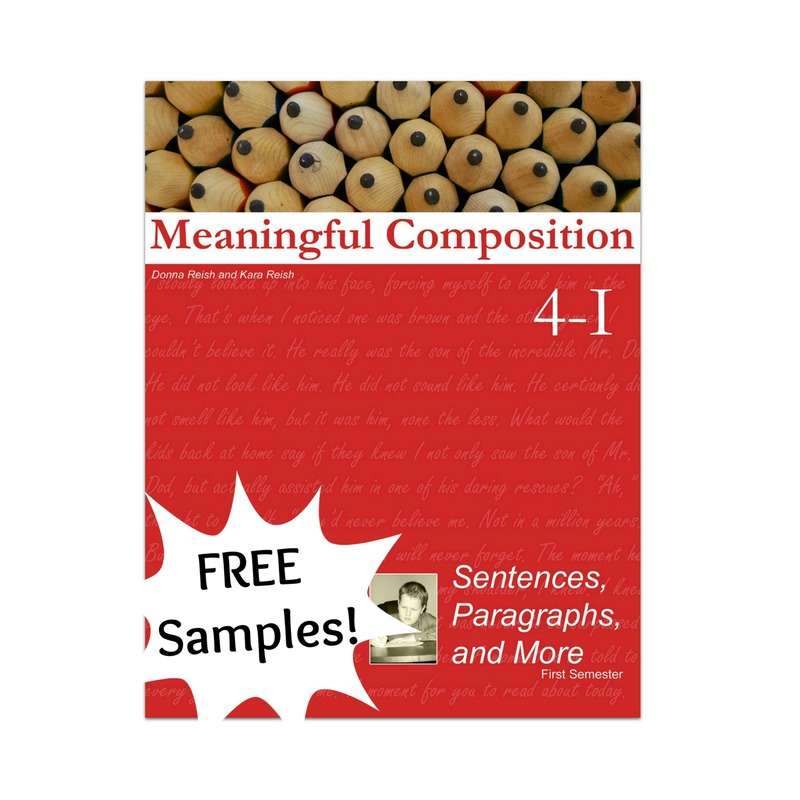 Be sure to read our Meaningful Composition General Guide & Overview of each book.